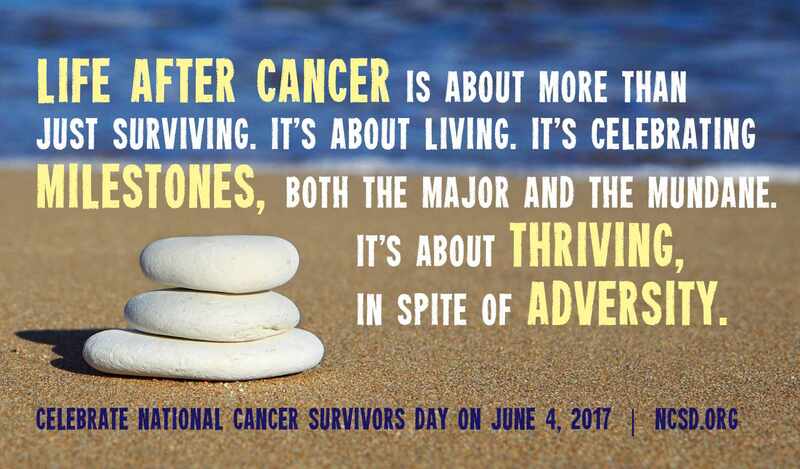 Sunday, June 4, is National Cancer Survivors Day. It is a day to celebrate those who are living with, and those who have beaten cancer. According to the National Cancer Institute, there are more than 15 million cancer survivors in the U.S., and that figure is growing. "The term ‘cancer survivorship’ is used highlight their journey following diagnosis," says Dr. Ruben Mesa, a hematologist/oncologist at the Mayo Clinic Cancer Center in Phoenix. "It's important to draw attention [to the] challenges that cancer survivors face every day, because, as a group, they all face similar challenges of a major disease and milestone in their lives." "As physicians, we learn a great deal from our patients," says Dr. Mesa. "We have learned from cancer survivors that it’s important to look at overall health ─ physical, emotional and spiritual ─ to determine the best course of treatment. We really need to care for the whole person." Watch: Dr. Ruben Mesa's 10 keys to cancer survivorship. Focus on relationships. Indeed, as people face difficult times, they think about people. Nothing else really helps to crystalize what matters in life. Be active. Physical activity is incredibly important for health and recovering from a difficult disease such as cancer. Take care of the rest of your health. Your overall health is very important. Take care of your caregiver. Be grateful and mindful of his or her needs along that journey. Capture what is discovered or discussed at health care provider's visits. Information can be overwhelming. Have a friend or loved one accompany you to your appointment to listen or, with your doctor’s permission, record what is discussed. Be your own best advocate. It’s important to realize many decisions are not absolutes. Your input into those decisions is essential for having the best care you can. Make friends with others facing a similar challenge. Being part of a community can help. Learn about your disease. The various forms of cancer are all different ─ and all are complicated. They affect everyone differently. Learn what you can. Journalists: Broadcast-quality sound bites with Dr. Mesa are in the downloads.